You know how anxiety and fear feels, your stomach drops, your neck tightens, your whole body tenses, but do you know what to do when anxiety fills your days and troubles your nights? You've probably already tried a few strategies, like denial or working harder, and noticed that they aren't a permanent solution. If you are tired of dealing with anxiety and worry on your own, then When I Am Afraid: A Step-by-Step Guide Away from Fear and Anxiety is for you. As you go through each set of meditations by biblical counseling expert Edward T. Welch, anxiety will gradually yield to hope, peace, and rest. Of course, this is a lifelong process, but going through this devotional guide, either on your own or with a small group, will kick-start the process and bring lifelong change. 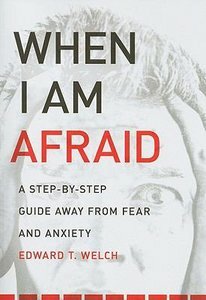 About "When I Am Afraid"